Growing in popularity for a few years, cider is now everywhere. So, it’s time to hop on the beer and cider mix bandwagon by sweetening up your party’s beverage selection. Offering your guests a beer and cider cocktail—or a B & C—is a great way to elevate the party and give guests a fresher option. Plus, it’s super simple to make! Find some cocktail suggestions after the jump. Did you know October is national apple month? 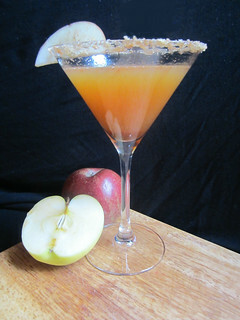 And this week is apple cider week here in NYC! With this in mind here are some other ways to use those extra apples from the farm (instead of pie). Filed Under: That’s the Spirit! Tagged With: apple cider, autumn, cider, cocktails, fall, That's the Spirit!